David is the managing director of MaxNRG Personal Training as well as a mobile personal trainer himself. Health and fitness has always been a major part of his life whether it was playing sport or going to the gym and he loves the benefits both mentally and physically of being extremely active. 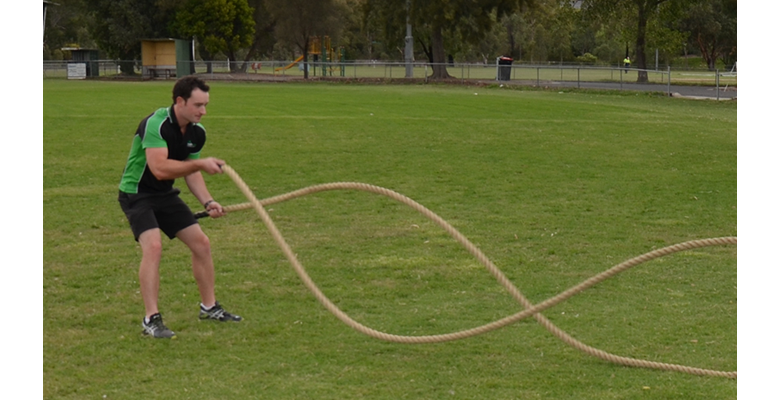 David is an experienced mobile personal trainer that services in Essendon, Tullamarine, Greenvale, Keilor, Niddrie, Maribyrnong, Moonee Ponds, Brunswick, Strathmore, and the surrounding North Western Suburbs. I am co-owner and the managing director of MaxNRG Personal Training. Health and fitness has always been a major part of my life whether it was playing sport or going to the gym, I just love the benefits, physically and mentally by being active. I understand each individual or group is different that’s why I cater for everyone needs. Your sessions should be enjoyable but effective so by providing a wide range of cardio, strength, boxing and core stability training you will be sure to reach your goals no matter how big or small. Seeing the results of my clients and seeing them feeling better about themselves is so rewarding that’s why being a personal trainer is my biggest passion. Whether you want to lose weight, tone up, improve fitness, boost energy levels, increase strength and/or feel a great sense of wellbeing and achievement, myself or another highly qualified and committed member of my team will be with you every step of the way as I believe motivation is the key to success! Below are a handful of the reviews from past and present clients of David Atkinson. I’ve been training with Dave for almost 4 years now, and believe he is one of the most experienced & committed trainers around. I started training once a week, as part of a group session, really enjoyed the variety & challenge he put into the sessions & then took on a personal one-on-one session as well! Dave is focused on helping me achieve my goals and makes every session challenging (& somehow fun). My fitness has increased noticeably and I’ve seen improvements in my ability to complete more sit ups / core exercises, lift progressively heavier weights & generally push myself harder throughout each session. I find I actually look forward to my workouts. Just a quick note to thank the MaxNRG team for everything you have done while training me over the past 8 months. Looking back to February, just the thought of putting on my wedding dress and having photos taken scared me to death let alone going on my honeymoon and putting on a bathing suit! Then I started training with MaxNRG and things got better, my clothes started to fit better, people noticed I was looking healthier and I could walk a few flights of stairs without feeling like I ran a marathon.